Provides Monster's ultimate performance standard, achieving breathtaking accuracy and total transparency. Delivers every nuance of timbre and tonality during performances and major recording sessions by utilizing patented Time Correct® windings, multiple gauge wire networks and Bandwidth Balanced® construction. 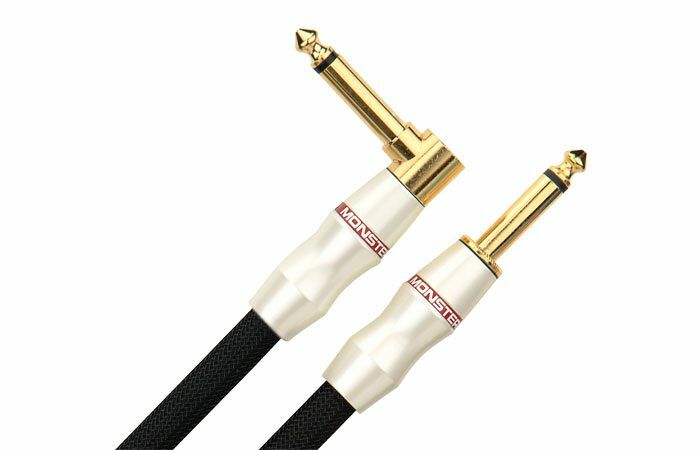 This is it: the reference instrument cable used by topartists, award-winningengineers and producers to deliver every nuance oftimbre and tonality duringperformances and recording sessions. Studio Pro 1000features Monster'stop cable technologies including 3-way BandwidthBalanced® construction,patented MicroFiber® dielectric and Time Correct®multiple gauge high,mid and low frequency wire networks for extremelyaccurate sonic reproduction.When you're ready to capture your music with ultimateclarity, detailand depth ...you're ready for Studio Pro 1000.